This article is about the 16th-century English statesman. For other uses, see John Fortescue (disambiguation). Sir John Fortescue (ca. 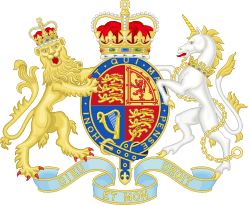 1531 or 1533 – 23 December 1607) of Salden Manor, near Mursley, Buckinghamshire, was the seventh Chancellor of the Exchequer of England, serving from 1589 until 1603. He was the son of Adrian Fortescue and his wife Anne Reade, daughter of Sir William Reade. Fortescue had six children with his first wife, and a seventh with his second wife after the death of his first wife. Many of his children followed his path in politics, holding positions in Parliament. His father Adrian Fortescue was martyred and has been beatified. Sir John was a great-grandson of Sir Geoffrey Boleyn, Lord Mayor of London (1457), and thus a second-cousin of Queen Elizabeth I. He led a largely undistinguished career in Parliament prior to his accession to the chancellorship, serving in several districts (including for Wallingford), and he continued to serve in Parliament after losing that title. Fortescue also held the position of Chancellor of the Duchy of Lancaster from 1601 to his death. Fortescue served under Queen Elizabeth I and was knighted in 1592. 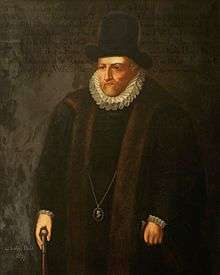 When King James I came to the throne in 1603, Fortescue advocated restrictions on his power, in part in order to limit the appointment of Scottish people. These reforms were not implemented, and as a result, James dismissed him from his position as Chancellor of the Exchequer. He retained, however, his position in Parliament and as Chancellor of the Duchy of Lancaster, as well as the keeper of the wardrobe. Fortescue was buried in Mursley Church in Buckinghamshire, England, where a monument has been erected in his honour.